tournament to a maximum of 48 holes. The 32-man field started the day 4hr 45min behind schedule and played the first 12 holes in Seychelles for the first round. Competitors at the final event of the Staysure Tour season were unable to complete holes 13 to 18 due to the mountainous lay-out of the final six holes, which cannot be easily traversed on foot - buggies will be used by competitors during the second and third rounds, which are expected to be completed. Lehman, winner of the Open Championship in 1996, started his round with a birdie and then made consecutive gains from the fourth to sixth holes, reaching four under par. He then parred the next five holes, dropping a stroke on the 12th and final hole for a three under par total. “I’m surprised we were able to get on the golf course,” said Lehman. “It didn’t look too promising, but we managed to get out and play, and there was no lightning either – we didn’t want to sit around and do nothing. “They did a good job of letting us know there wouldn’t be any golf until at least 14:30, so it was a relaxing morning. But when you know what the game plan might be, you reset your mind to be ready to play and it was good for everybody. “I don’t think anybody had a number in mind. It’s so hard to know what a score is going to be on a new course. Lehman leads by one stroke ahead of 2002 Ryder Cup player Phillip Price and Denmark’s Steen Tinning. 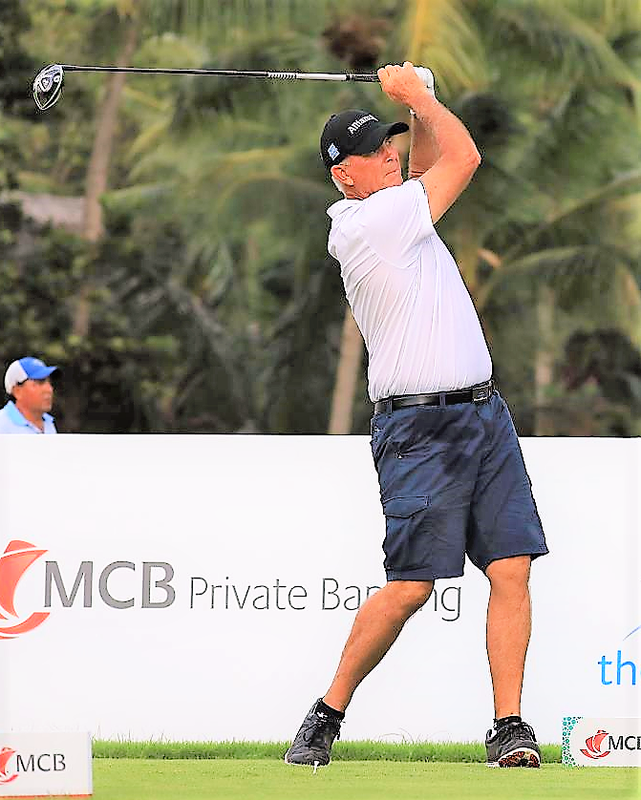 One stroke further back on one under par are eight competitors, including 1991 Masters winner Ian Woosnam and two-time Senior Major champion Roger Chapman. Tournament Director Simon Higginbottom said: “Due to the unrelenting heavy rain we experienced at Constance Lemuria this morning, we took the decision to play the first 12 holes of the golf course in the first round of the MCB Tour Championship – Seychelles and reduce the tournament to 48 holes. “This is to ensure that we give this year’s competitors the opportunity to play as many holes as possible at the final event of the 2018 Staysure Tour season, and we intend to play all 18 holes during the second and third rounds – weather permitting.